Belvedere Designs: Let's decorate your Library! Sometimes you have a super custom space that you want to add a super custom quote - or 3 - to and you can't find the perfect thing online - WallQuotes is here to help you get the design exactly as you have in your mind. 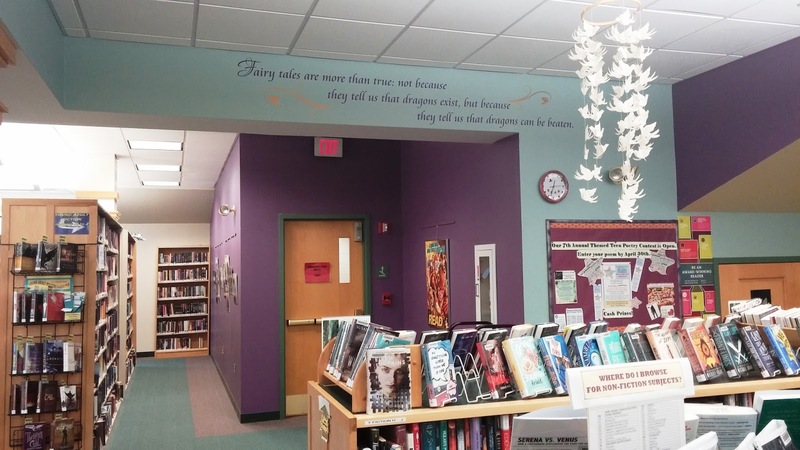 In this case, we helped Kim get some special designs for a Public Library. 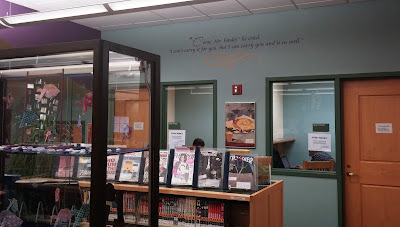 Kim wrote us and said her Teen Advisory Board was deciding on some quotes from Young Adult Fiction books to feature throughout their library and asked if we could help. As a lover of books we were happy to work on this with her. 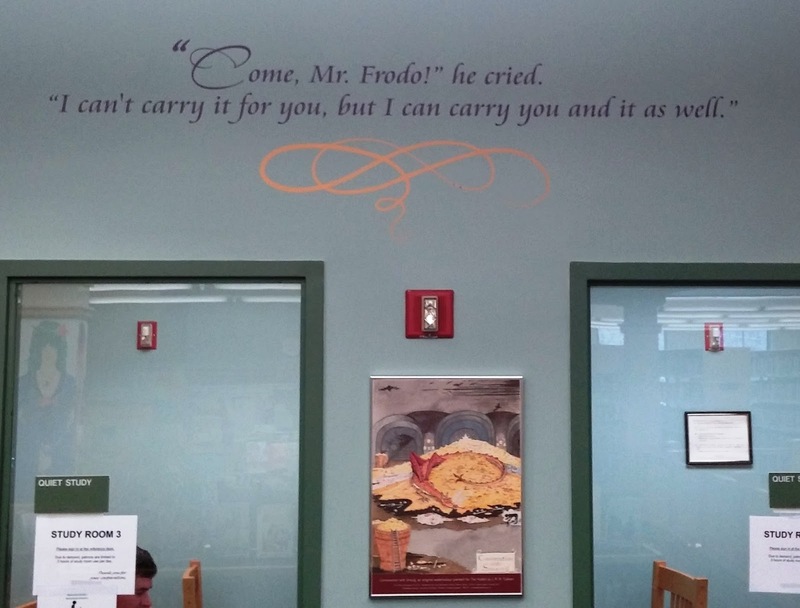 The board chose some amazing quotes - Harry Potter and Lord of the Rings? GREAT choices! - that add a little somethin' to an already great space. Kim did a great job with the installation of all the pieces and getting everything just right. I think this Harry Potter quote from Dumbledore is my favorite! It's over 13 feet long! Kim added some character with embellished first letters, just like in a book, and copper accents. Kim's project turned out amazing and she went through multiple quote changes, color options, and arrangements while working with our designers. Have a custom quote in mind and want to really transform your space? We can help just like we did with Kim. Send us your ideas and we will send you a proof with some design options.